Tibetan art program for kids with Liana Moon! Stay tuned for more details about the precise line up of the day! Tamding Tsetan is a multi-instrumentalist/singer, and artist (graphics, tattoo, calligraphy) born in the small village of Widu, in Amdo, Tibet. As a child, he herded his uncle’s sheep across the windswept mountains there. From a young age, he was naturally interested in drawing, painting, and music. In 2002, he made an important decision to escape from Tibet. It took Tamding 43 days to cross the Himalaya Mountains, on foot, in winter. He currently resides in Portland, OR. 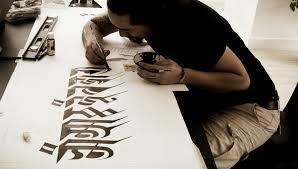 Tamding will offer a demonstration and workshop of his Tibetan mantra calligraphy and sing songs from homeland. Drukmo Gyal Dakini (འགྲུག་མོ་རྒྱ) was born in the Northeastern part of Tibet into a yogi family where mantra, yoga, and meditation were introduced at a young age. With support from her local Tibetan yogi community and family, she practiced mantras with traditional melodies and in 2008 began singing publicly and touring the world. In 2014 she moved to the West in order to work with Sorig Khang International, one of the largest organizations for Tibetan Medicine in the world, founded by her teacher Dr. Nida Chenagtsang. Since she has been in the West she has produced five albums of Tibetan healing mantras and chants with musicians from all over the world and traveled to over twenty countries to share concerts, public talks, workshops, and courses on mantra, yoga, meditation, and the external healing therapies of Tibetan Medicine. One of the primary focuses of all her activities is to help females to find equality and to help mothers and children to view each other with divinity and compassion through Tibetan spiritual practices. Drukmo Gyal will offer her melodic healing mantras from the Tibetan medical and Buddhist traditions. Simone Giuliani is a music director, music producer, film composer and artist born in Florence, Italy and based in New York and Los Angeles. Simone has worked for the past two decades with an array of international artists: Andrea Bocelli, London Symphony Orchestra, Royal Philharmonic Orchestra and many more. He wrote the soundtrack of 'Deep Into Shambhala' that won Best Music Award at the 8th China Academy Awards for Documentary Film. Simone will offer a live performance of selected tracks from the documentary ‘Deep into Shambhala’ accompanied by visuals from this extraordinary film. Families, bring your children this father’s day! Awareness: shamatha meditation practice for children of all ages with “Magic Forest” art game. Connection: Buddha art meditation for kids of all ages and their parents. Japanese born painter Rima Fujita will exhibits a series of her Himalayan inspired art work and shares her experiences in creating her most recent children’s book, The Day the Buddha Woke Up, published by Wisdom Publications.